I don't think I could hide the gigantic level of excitement I am in today even if I wanted to! I've been keeping this secret for interminable months now... 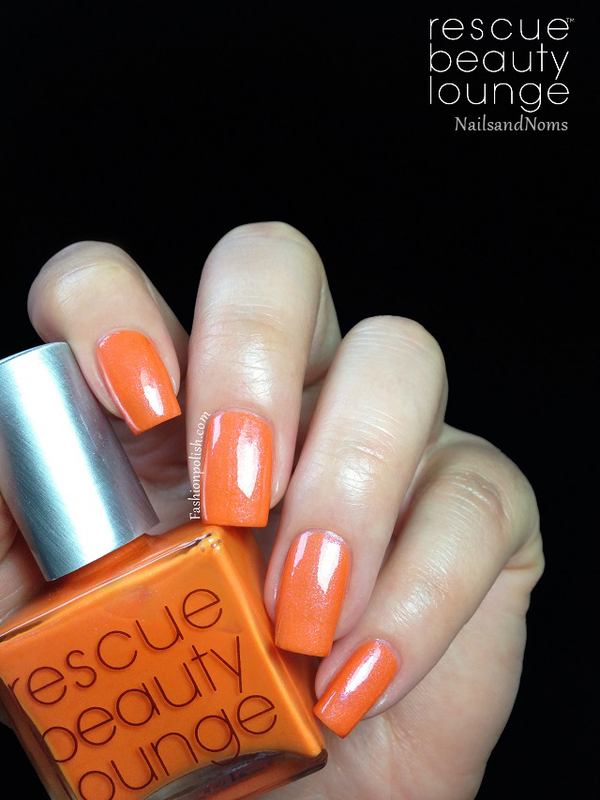 It actually feels so weird to finally be able to say it out loud write it: yes, I am one of the (extremely) lucky bloggers collaborating in the Rescue Beauty Lounge Bloggers' 2.0 collection! This is what I look like 90% of the time, with a very natural makeup : concealer, khol, mascara, blusher and lip balm. 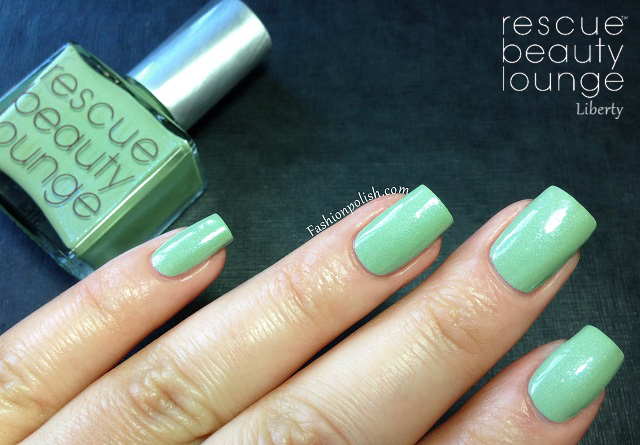 The Rescue Beauty Lounge Bloggers' 2.0 Collection is a set of 6 polishes. Five of them created in collaboration with nail bloggers and one by Ji Baek herself, owner of RBL. had a blast and hope you all did too." All swatches below with RBL base and top coat. 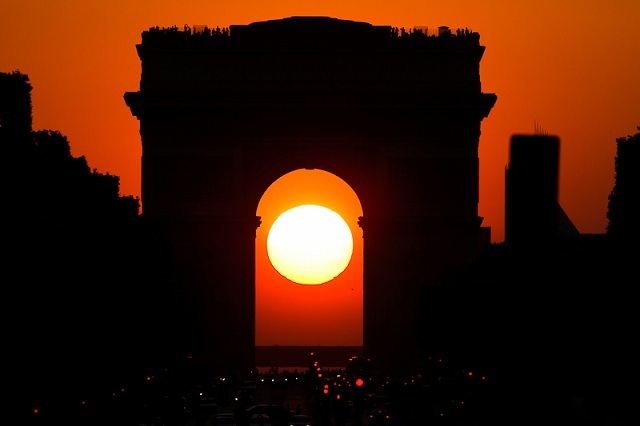 photo of a breathtaking sunset that bleeds into the golden sunlight. shipping box and be whisked away to France." As Ji describes in her Press Release, the shade I had in mind was a mix of red and gold shimmers / micro glitters in the blackest black base, inspired by a beautiful sunset over the Arc de Triomphe in Paris, a city I particularly heart, the city I was born and raised in. Truth be told (sorry Ji, this might be a surprise to you! ), when I received the package with the sample versions, they weren't exactly what I expected. I wanted something more colorful somehow, I kind of imagined a splash of color in the black base and they all seemed so... black... But then I tried them, all six of them, and I completely fell in love. I actually loved one of them sooo much that I remember thinking to myself that I would have been sad if it had never existed. Yep, sad over polish, can you imagine that? 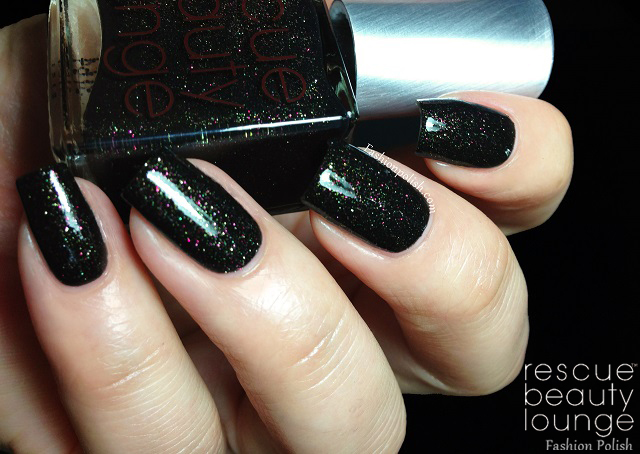 Fashion Polish is a jet black base scattered with a heavy mix of gold, red and sparse green micro glitter. Smooth, easy to work with and highly pigmented, it reached full depth and complete opacity with the second coat. As for the micro glitter, they were very saturated and visible in sunlight and direct lighting and more subdued in terms of color (not sparkle) in the shade. I used 2 coats plus 2 coats of topcoat in the swatches below and that's how I recommend wearing it as the heavy amount of glitter tend to dry to a slightly rough finish. One last (blurry) picture shows the otherwise camera shy glitter color spectrum. and I can feel Kellie’s smile beaming from the bottle—it’s so her." 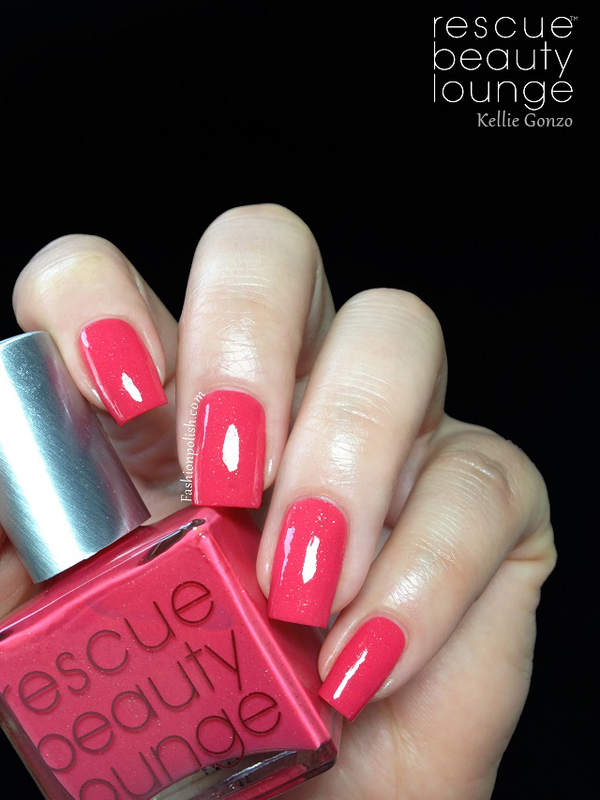 Kellie Gonzo is a bold coral pink or pink coral crelly with a mix of gold, silver and red microglitter. Definitely a happy color and so appropriate for Kellie indeed! 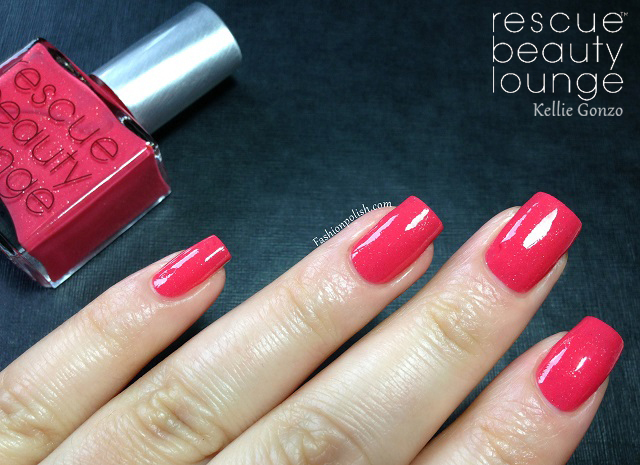 I really love this type of pink (or coral LOL) and I can already see myself wearing it a lot this Summer. Formula pretty much lived up to RBL's standard, even and easy to apply, as usual. 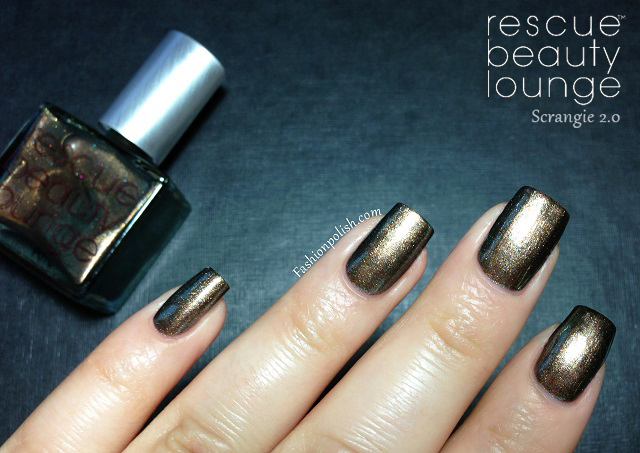 I used two coats plus topcoat and although the shimmer was a bit subtle, it definitely added a nice sparkle and enlightened the base. was mixing something else and I thought—what the *eek is that? “Rie” stands for Marie Antoinette, so we say—let them eat sherbet! 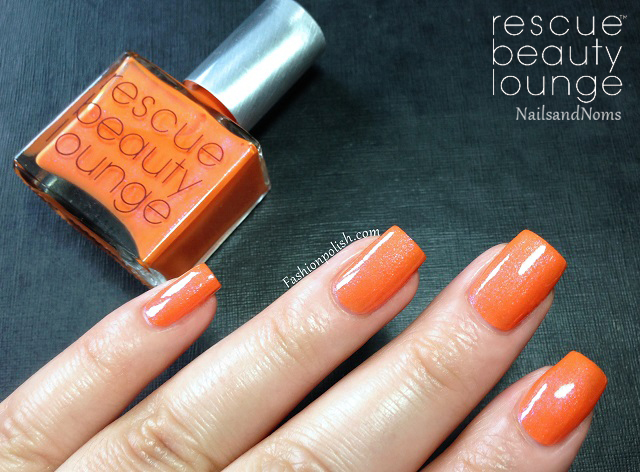 NailsandNnoms is a bold carrot orange infused with an overall blue flash consisting of blue, pink and orange shimmer. Now this is a combination I would never have thought of and it looks surprisingly beautiful on the nails! The cool flash didn't alter the warm base in any way but brought it to a whole new level somehow. Formula was slightly thicker here but still smooth and easy apply. Two coats plus topcoat below. she actually choked! Yup, our Pammy, one of my favorite authors. Liberty is a delicate muted mint crème with a subtle blue flash and a touch of silver (white?) shimmers. This is definitely the softest shade in the Bloggers' 2.0 collex and it couldn't be more different from your usual pastel. Subtle and yet complex at the same time, it looks perfect on my skin tone thanks to its cool shimmer. I know green isn't for everyone but if, like me, you're into greens, you will love it! Formula was also slightly on the thick side here but didn't give me any trouble with application. Two coats plus topcoat. made together already? And, of course, she wanted that elusive nailpolish-goliath. have had this effect on my wish list for as long as I can remember. shade to shade depending on the light that is cast on it." 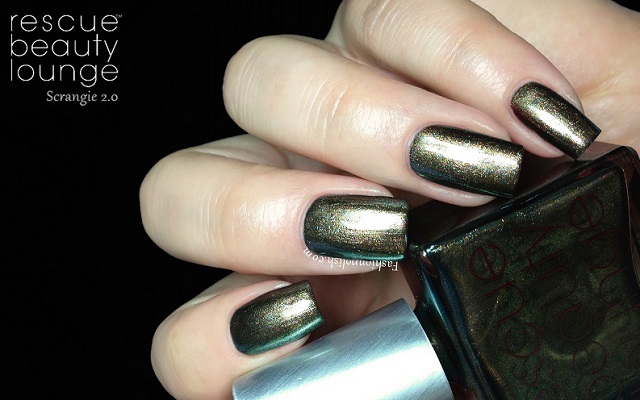 Scrangie 2.0 is a deep and complex antique brass shimmer with a slight green duochrome as well as a rainbow of shimmer particles. Of course Scrangie would create another stunner LOL. 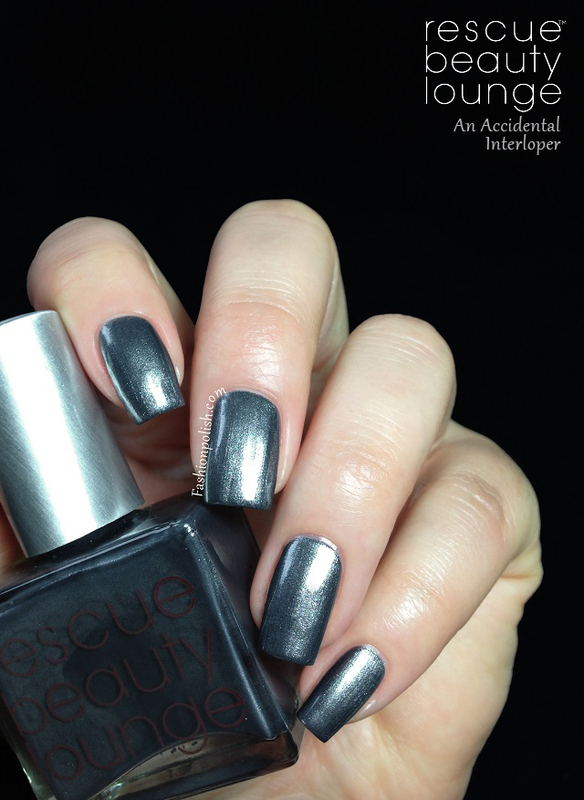 For a dark polish lover like myself, it's definitely a must have. I love everything about it and I can already see it reaching an iconic status. It's a very versatile color and depending on the lighting, it will either reveal its green cool or brass warm side. On me, it tends to pull greener here but I'm sure it would have looked warmer if I had been been able to swatch it in the sun (I mean seriously, no sun in June?!). Formula was flawless was you'e looking at two highly pigmented, perfectly even, coats here. unique silver color was an obstacle I had yet to solve for many years. hues. It's a silver palette I can embrace as a part of the RBL family. An Accidental Interloper is gunmetal grey shimmer with sparse pink and green micro shimmer particles. I really love greys but I'm kind of difficult with grey shimmers, they usually are too light or too metallic for my taste. Fortunately here, Ji found the perfect balance IMO. Extremely pigmented and butter smooth, it literally applied itself. Two coats plus topcoat here as well. 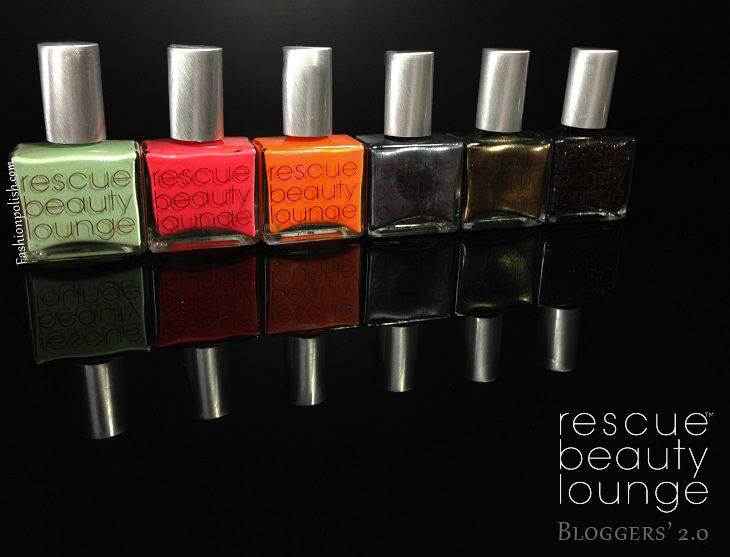 Rescue Beauty Lounge nail lacquers can be purchased on RescueBeauty.com (international shipping available) and retail for $20 each. 48 hr Pre-Order is scheduled for 6/28th noon EST. Well, this was a pretty long post, wasn't it? I feel so grateful to have been given the opportunity to create my dream shade so thank you Ji, from the bottom of my heart.